Marvellous. 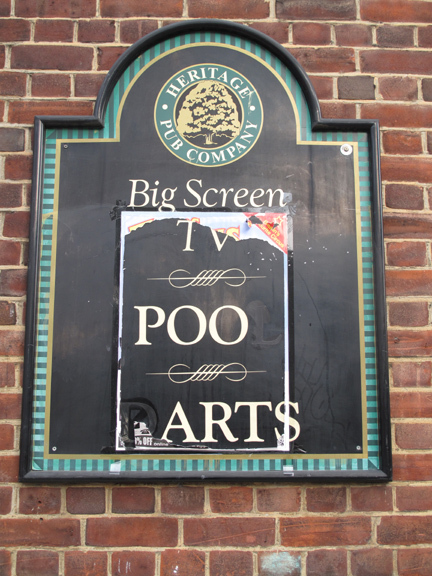 Someone has gone to the trouble to make POO ARTS out of a more prosaic sign on the side of a pub in Peckham. I confess it appeals to my sense of humour. This entry was posted in Peckham, Photography and tagged art, arts, Peckham, pubs in peckham, scatalogical humour, south London. Bookmark the permalink.